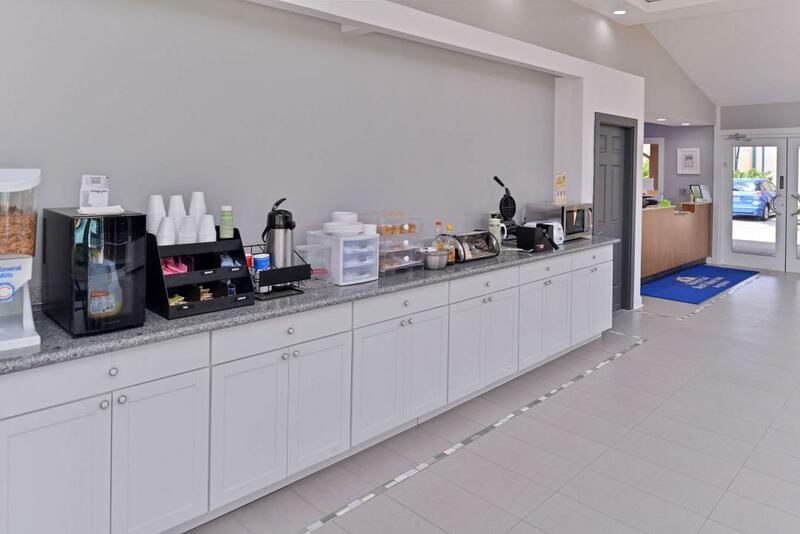 Welcome to Americas Best Value Inn Angleton, a quaint little town south of Houston with prime location to all that the Brazos Valley has to offer. Located at the intersection of State Highway 288 and State Highway 35, our hotel is near several area attractions such as Brazoria County Museum, Brazoria National Wildlife Refuge, and the Varner Hogg Plantation. After a busy day, dine (Texas Style) at Smithhart's Texas Grill, Mulberry Bar and Grill, or Duran's BBQ. 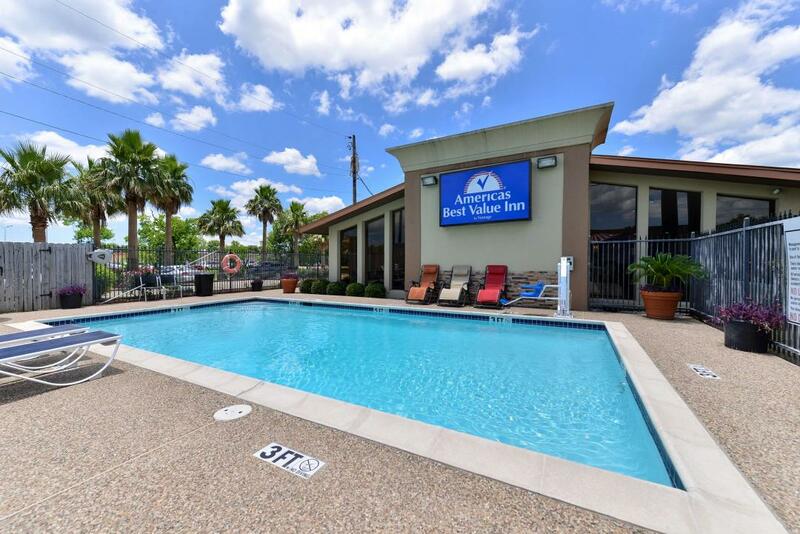 Americas Best Value Inn Angleton offers clean comfortable accommodations, affordable rates, and a friendly 24-hour staff to help make your stay enjoyable. Start your day right with our free deluxe continental breakfast. Feel the warmth of the sunshine by our outdoor pool. Appreciate the convenience of our on-site guest laundry facility. 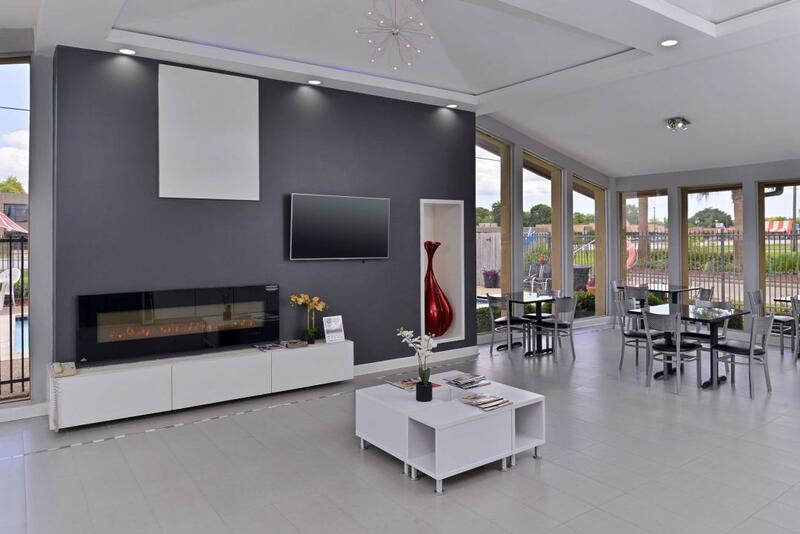 Stay connected with free wireless high-speed Internet access in our public areas and guest rooms. Pets are allowed, but restrictions and charges apply. Step into the privacy of your own guest room and experience absolute relaxation with amenities including a microwave, mini-fridge, coffeemaker, hairdryer, cable TV, HBO, ESPN, Showtime, iron, ironing board, desk with lamp, free local calls, and wake-up service. Americas Best Value Inn Angleton is your best choice within the Brazos Valley. We offer ideal accommodations and location whether you are in town for entertainment, business, or sightseeing. At Americas Best Value Inn Angleton, our goal is to provide our guests a great experience, not just a place to stay. At Americas Best Value Inn Angleton, We've Got You Covered from the time you hit the road until your head hits the pillow. Enjoy the free deluxe continental breakfast served daily. Free coffee is also available in the lobby from 6am to 10 am. Looking for some quick grub or a nice dinner? Check out these nearby restaurants. Luigi's Italian Restaurant, 0.04 mi. La Casona Mexican Restaurant, 0.1 mi. Smithhart's Texas Grill, 0.5 mi. Chili's Grill and Bar, 0.6 mi. Mulberry Bar and Grill, 1.1 mi. Hunan Garden Restaurant, 1.2 mi. Giovanni's Italian Kitchen, 1.6 mi. Jack in the Box, 1.6 mi. Check out these Angleton, Texas attractions during your stay. Angleton Recreation Center, 0.5 mi. Ginger's Beauty Salon, 0.6 mi . Body Bliss Massage, 1.1 mi. Columbia Lakes Golf Club, 14.5 mi. Reel Threel Charters, 17.8 mi. Game and Skate Inc, 21.8 mi. Brazoria County Museum, 0.7 mi. Brazoria County Fair Association, 2.5 mi. Austin Town Historical Park, 6 mi. Brazos River County Park, 9.9 mi. Center for the Arts and Sciences, 10.2 mi. Lake Jackson Historical Museum, 12.1 mi. Brazoria National Wildlife Refuge, 13.1 mi. Varner Hogg Plantation, 15.4 mi. Riverplace Water Park, 15.7 mi. Brazos Bend State Park, 23.2 mi. San Bernard National Wildlife Refuge, 23.8 mi.